Check out our memorable past events! Keep up with all the weekly promotions and excitement of Waveform Events! Getting into shape before the big day can be a drag, but it doesn’t have to be. Make it easy and enjoyable with these easy tricks. Instead of forcing yourself to exercise, motivate yourself to get to where you want to be, and make it FUN! 1. Recruit your friends or family. 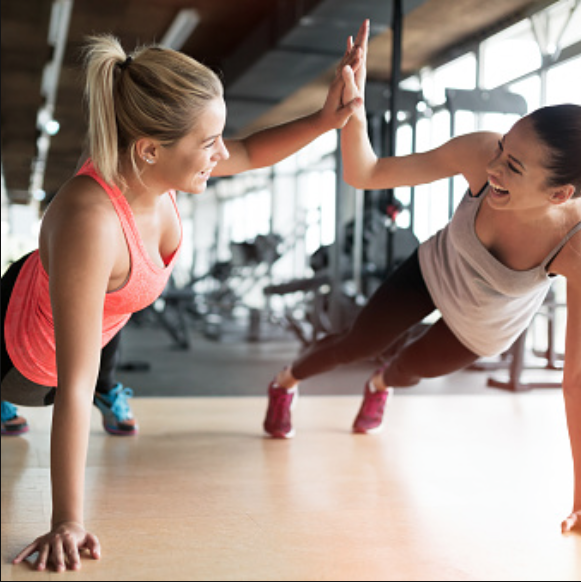 The buddy system is a great motivator to keep you on track to your exercise goals. Get one or two friends to join you and keep each other accountable of your goals. Running or weight training may not be your thing, so don’t do the traditional. Try something different like a dance class, rock climbing, or even a swim class. Challenging yourself during your workout can keep you in the zone and keep you on your toes. 3. Set a reasonable goal. Aim for a goal you can reach in the amount of time you give yourself. Nothing UNmotivates you like not reaching an unattainable goal. Keep your journey positive. Start small and keep pushing yourself as time goes on. Once you find an activity you enjoy, exercising will no longer be a chore, but something you can look forward to! Find your groove when it comes to starting your journey, and you’ll start seeing results in no time! 2. Big girls sometimes don’t cry. If you’re a bride, you’ve seen photos and tv shows depicting brides crying the moment they find their perfect dress, but sometimes it doesn’t happen. That’s okay! Not all brides cry the moment they find their perfect dress, so don’t get discouraged if you don’t shed a tear. You’ll know when you’ve found the right dress, whether the waterworks make an appearance or not. 3. Don’t stress about when you find the dress. You may try on 5 dresses or 20. That’s totally fine. You may find your wedding dress at the first store or may have to go to a few different ones to find “the one.” Don’t worry. You’ll find it. You also don’t want to second guess your decision, so if you’ve found it, get it! One less more thing to cross off your to do list. When you’ve found the dress and are ready to get fitted, be honest with yourself. Everyone wants to feel their best, or even lose those few extra pounds for the wedding day, but you don’t want to be uncomfortable or disappointed when you get it altered and it still doesn’t fit. 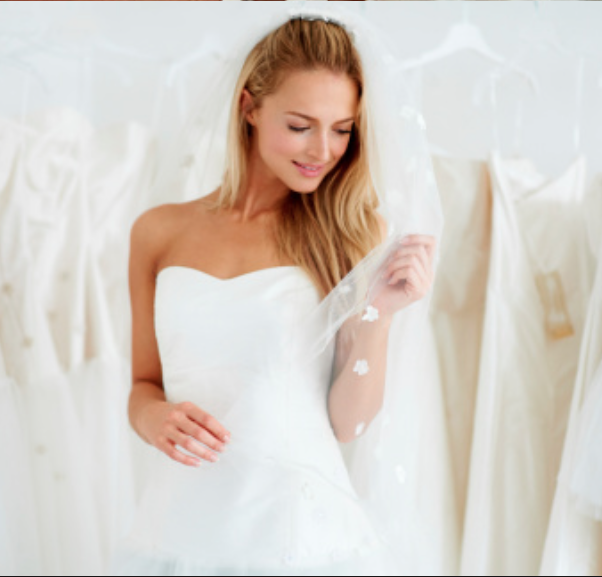 Every bride has their own experience when it comes to a wedding dress fitting, but these pro tips will keep your dress fitting smoothly and your experience stress free. Find your groove when it comes to your fitting and don’t forget to HAVE FUN!